Over the years, I’ve developed affections for some pretty odd things in Hong Kong. Things like where the best air-conditioned 7-11’s are located throughout the city (for that much-needed air-con break), or my never-leave-home-without Octopus card (which is as much fun using as a cabin card on a cruise ship). But nothing compares to the Mid-Levels Escalator. I never gave much attention to these amazing inventions before living in Hong Kong, but I’m here to say THEY’RE CRAZY GOOD THINGS to have around this city. And boy do we have a lot! Just getting to work takes 8 escalators if I walk, 10 escalators if I ride the MTR (don’t be fooled… the MTR is actually first in the escalator business and second trains) and 4 escalators if I’m feeling lazy and take a taxi. But, as with all good things… they’re only good when working. 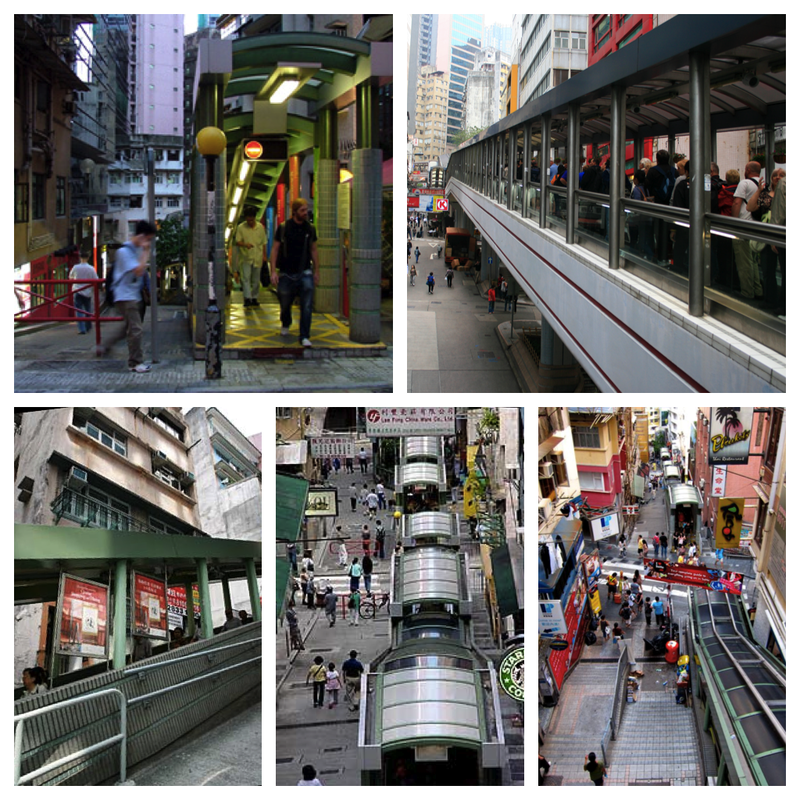 The Mid-Levels Escalator, connecting Des Voeux Road in Central and Conduit Road in Mid-Levels, opened in 1993. With over 80,000 commuters daily, it’s about to reach the end of its life with increasing service down time, maintenance and repair costs. 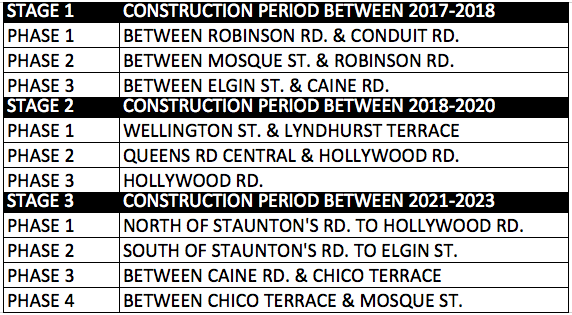 When I lived on Robinson and the section connecting Mosque to Robinson would be down for repairs, I seriously thought long and hard about getting a hotel room to avoid that climb. That last section (aka- the Niagara Falls of dog piss) was always the hardest by foot… and nose. To facilitate efficient commuting between Central and Mid-Levels, the government has decided to refurbish all 21 escalators. To help reduce suicidal behavior by commuters, the project is planned to be implemented in 3 stages. Each stage will be divided into phases so that no more than 3 escalators will be suspended concurrently in each phase and each suspension not lasting for more than 6 months. That’s right, no more than 6 months. Good news alert! During the periods of suspension, the adjoining walkways and staircases will remain open. So. There is that. Below is a guide to help plan all business trips, extended holidays and moves. For the next 8 years. You are welcome. 8 years! I didn’t know they needed 8 years to change the escalators! Crazy!